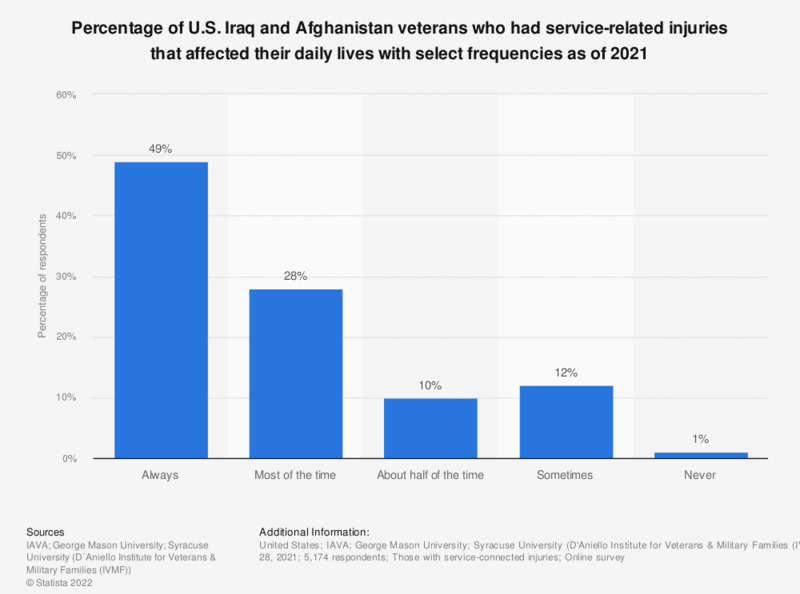 This graph shows the percentage of U.S. Iraq and Afghanistan veterans who had service-connected injuries that impacted their daily lives a select amount of the time as of 2018. According to the data, 42 percent of those with injuries said that their injuries always affected their daily life. Original question: "How often do your service-connected injuries affect your daily life?"